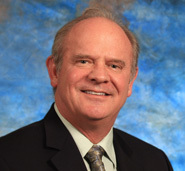 Dr. David Johnson is a General Surgeon providing a wide range of surgical services (including various types of hernia repair, gallbladder surgery, thyroid and parathyroid surgery). He also performs anti-reflux procedures, advanced colon/intestinal procedures and breast cancer surgeries. His practice emphasizes minimally invasive (laparoscopic) surgery which gives patients quicker recovery with less pain and scarring. Dr. Johnson also has specific training in robotically assisted surgery, which allows him to operate through a single small incision.